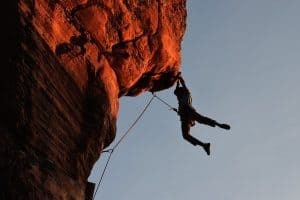 Anything can happen while climbing - rocks can fall and gear can get dropped. Although we hope that these incidents are few and far between, it’s best to be prepared by wearing a climbing helmet. That's why they should be a key part of your climbing kit, along with your shoes and harness. 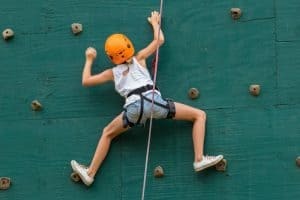 However, there a number of different climbing helmet styles and designs available, so it can be difficult to determine which one is right for you. To make things easier, we’ve created this detailed climbing helmet buying guide so you can have all the information you need before you make a purchase. Hardshell helmets tend to be the most durable of the bunch because they’re made of a solid piece of ABS plastic. This plastic is specially designed to protect your noggin from falling rocks and gear and is the main structural component of the helmet. The outer ABS plastic shell is attached to your head using a strap suspension system and an EPS (expanded polystyrene) foam lining which is designed to absorb impact. This thick plastic shell and foam lining combo is incredibly durable and is more resistant to scratches and dings than the full foam alternative. In addition to this extra durability, the main benefit of the hardshell helmet is that it tends to be much more affordable than a foam helmet. However, this benefit comes with two significant disadvantages - weight and breathability. Unlike their hardshell cousins, many foam helmets are made mostly of EPS or EPP (expanded polypropylene) foam, with just a thin covering of polycarbonate plastic. However, there are some foam helmets that have only partial shells or eschew the plastic covering altogether. 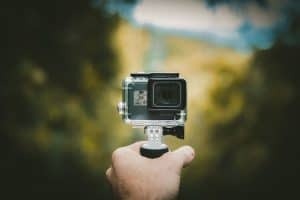 Regardless, the EPS foam is designed to take the brunt of any impact while the polycarbonate shell simply protects the foam from wear and tear. The main advantage of the foam helmet is that it is lighter and more breathable than the hardshell alternative. Of course, this comes at the cost of decreased durability and increased cost. 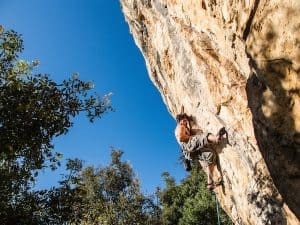 Thus, when buying a climbing helmet, it is important to first prioritise four key features - weight, breathability, cost, and durability - to determine which model might be right for you. ​The Vector is an incredibly versatile foam helmet with large ventilation openings for maximum breathability. Available in two sizes and complete with a dial adjustment system, the Vector helps you get the perfect fit for superior protection from falling objects. The EPS foam with a polycarbonate shell is lightweight but is prone to scratches and dings. While it is more expensive than a hardshell, it is reasonably priced for a foam helmet. 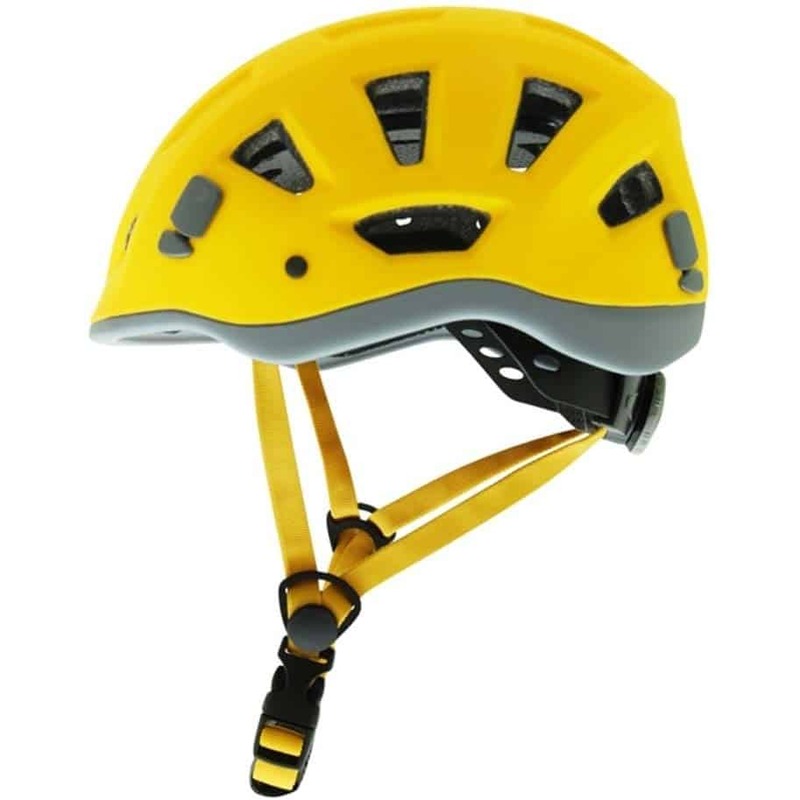 We recommend the Vector for frequent climbers who want a versatile helmet for any situation. "I’ve used multiple models of this helmet for nearly five years and have always been impressed. Whether rock climbing or mountaineering, it keeps my head protected while staying breathable and comfortable day after day." 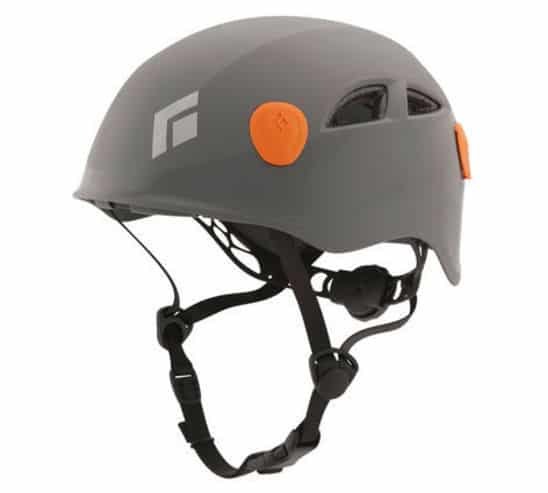 The Leef is Italian manufacturer Kong’s newest and most technologically advanced helmet. Made with a minimalist design that provides excellent shock resistance, this is a helmet that’s made to last. 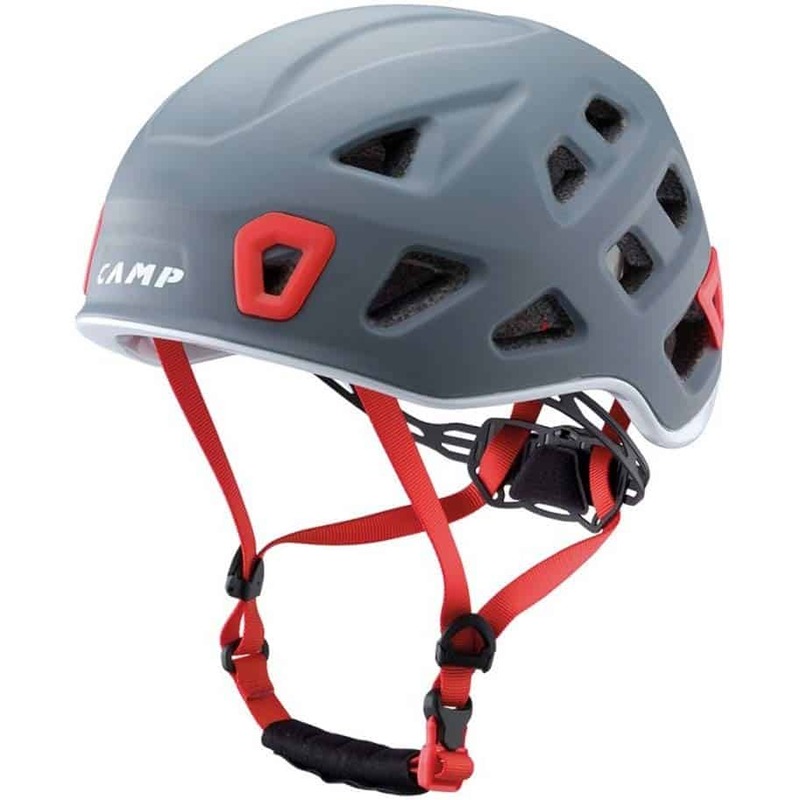 This helmet is certified for both climbing and mountaineering. Plus, at a mere 210g, you’ll likely forget that you’re even wearing it. 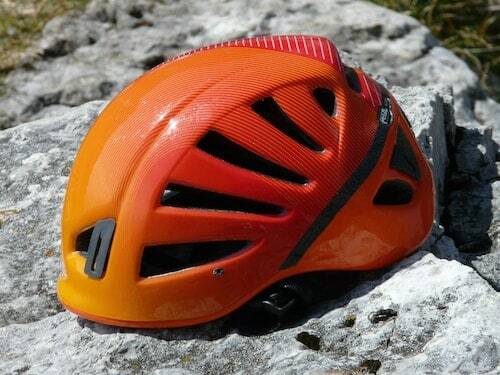 This is a great helmet for climbers who prioritise weight savings over anything else. ​Camp fine-tuned their new Storm helmet for technical climbing and mountaineering with 22 ventilation holes for maximum breathability. Designed for high-output adventures where you’re breathing heavily and working hard, the Storm has removable padding and a dial adjustment system for a precision fit. 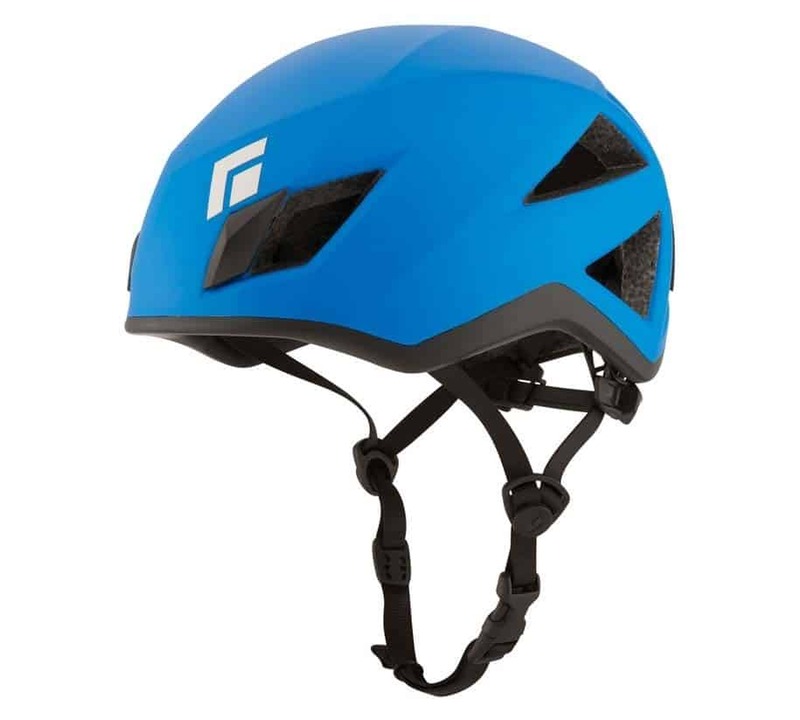 This is a great helmet for mountaineers, alpinists, and technical climbers who push the grades. If you value comfort and breathability, the Storm might be the helmet for you. 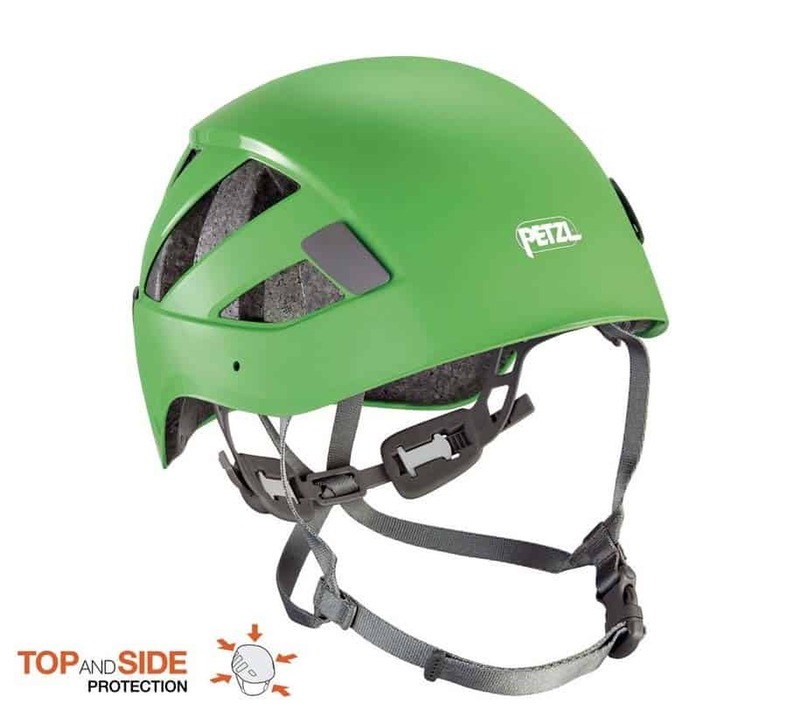 ​The Petzl Boreo is a hardshell that’s so light and breathable that you might think it’s a foam helmet. Built to be compact yet strong with a durable plastic shell, the Boreo protects against lateral, front, and rear impact for maximum head-coverage. At only 295g, it’s pretty light for a hardshell helmet, though that benefit does come with a higher price tag. We recommend the Boreo for climbers who prioritize durability and protection over anything else. ​The Half Dome is Black Diamond's seasoned workhorse helmet. With a classic hardshell design, minimal fuss, and incredible durability, the Half Dome is great for climbers who just need a helmet that can get the job done. With two sizes and a dial adjustment system, you can get a precision fit at an affordable price. While it is the heaviest helmet in this review, it is built to last daily abuse, so it's great for climbers who are hard on their gear. "The Half Dome was one of the first helmets I purchased and it served me well over the years. It is durable and resilient, even if you accidentally squash it in your pack. The main reason I switched to a different helmet was for the added breathability of a foam model. But, if you want something that’s durable day after day, the Half Dome is a sure bet." 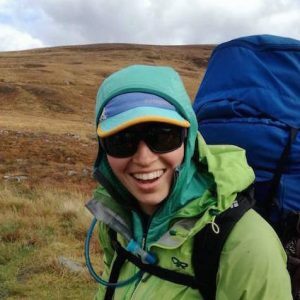 ​Buying a climbing helmet can be difficult, but not once you know what to look for. In this review, the Black Diamond Vector was our top pick for its great combination of price and versatility. Whichever helmet you choose, be sure to select one that fits your priorities so you can keep on climbing.